Our treatments optimise both new and old surgical scars, reducing their size, colour and texture. Also useful for self-harm scarring. Stimulate the body’s own healing responses to minimise the appearance and smooth the texture of burns scars. Our treatment protocol targets the pitting and discolouration that’s often a legacy of teen and adult acne. 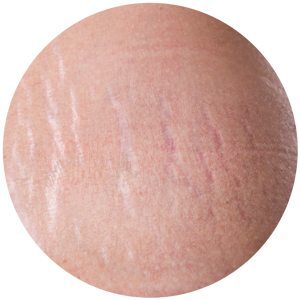 If stretch marks bother you, our gentle and effective treatment will help to reduce their visibility. Microneedling is a quick, low downtime scar reduction treatment that involves the tip of a Dermapen being passed over the scar or stretch mark. Micro needles rapidly penetrate the upper layers of the dermis, causing old skin to exfoliate off and stimulating the growth of healthy fresh skin underneath. 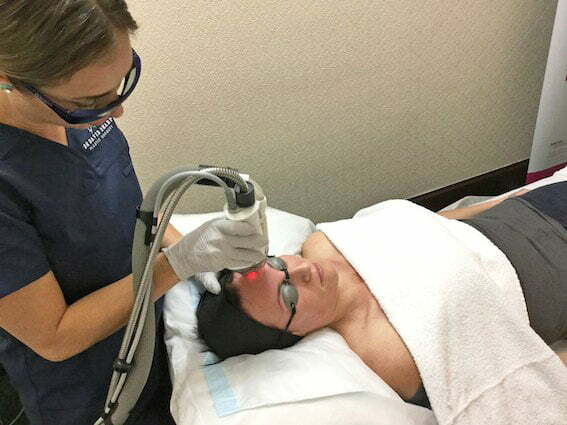 This fractionated medical grade laser strategically passes tiny beams into the dermis, removing old, scarred skin and stimulating the growth of a healthy fresh cells. Fraxel also encourages the production of the body’s own collagen, to plump and smooth. It is suitable for all skin types. From steroid injections to over-the-counter silicone gel and prescriptive compounds with powerful plant-based extracts that are proven to remodel and reduce the appearance of scars - our team utilises the best possible topical and injectable products to treat scarring. 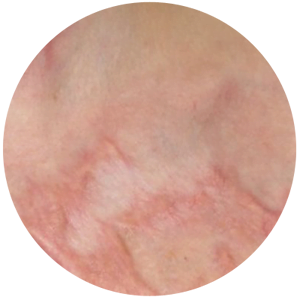 Optimal wound care immediately after surgery can significantly impact on scarring. Following your post op instructions, attending your post op appointments and utilising at-home scar reduction products we provide, helps us work with you to ensure the best possible healing. It's possible to reduce the appearance of scars and stretch marks. Book a complimentary consultation and find out which treatment can help you. S cars result from your body’s natural healing process when the dermis (the deep, thick layer of skin under your epidermis) is damaged. Healing cells called fibroblasts move to the site of the injury to repair the damage. Fibroblasts cover over the damaged area and form collagen, which is the building block of scar tissue, resulting in a scar. The scar could vary due to a number of factors, such as the wound’s depth, location and size. Ethnicity, age, gender and genetics are also factors that can contribute to how your scar forms. The new scar tissue has a different texture, colour and quality than the surrounding tissue. What are the common types of scars? Acne scars result from severe acne. There are various types of acne scars which would depend on the acne type that you had. 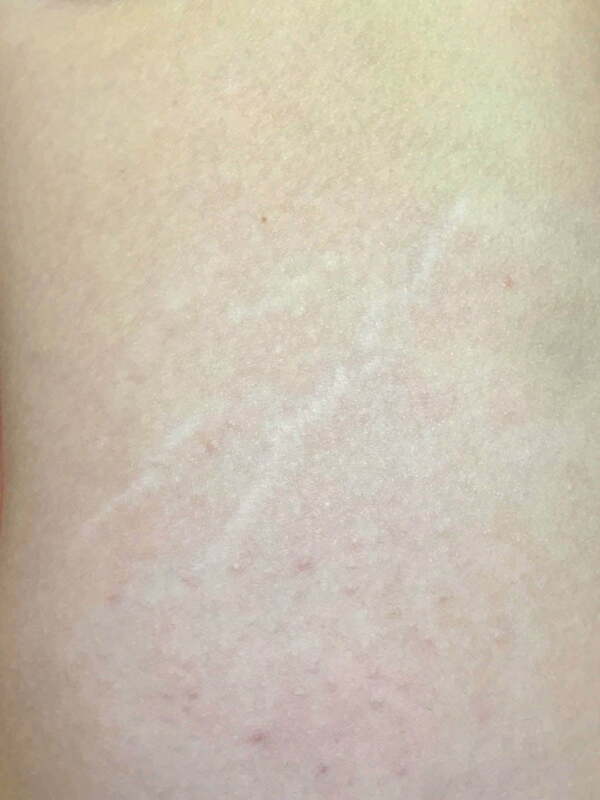 Contracture scars result primarily from burns to the skin. 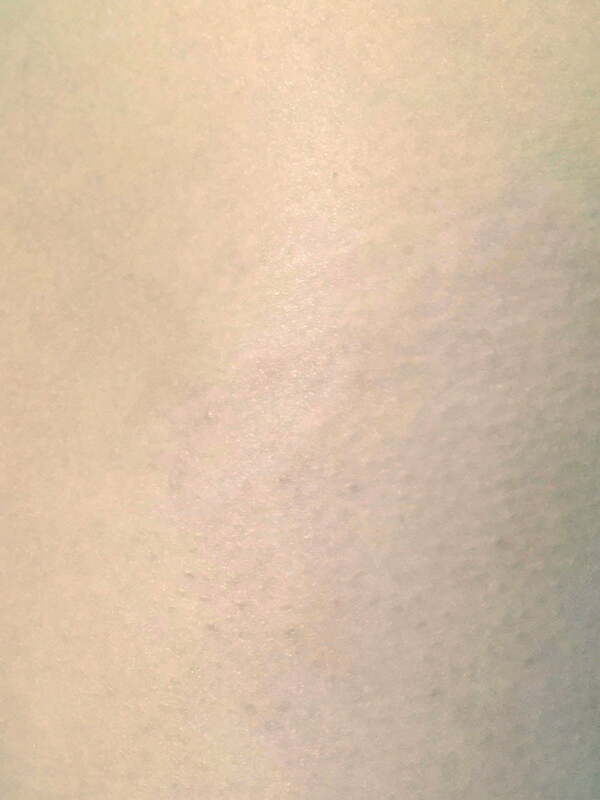 The scar makes the skin tighter and can impair movement; it can also affect nerves and muscles, depending on its depth. Hypertrophic scars are red and raised; they can look a lot like keloid scars, but they stay contained within the injury’s boundary. 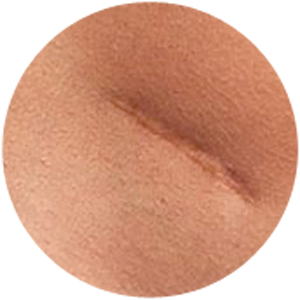 Keloid scars grow beyond the area of the original injury. They can be discoloured, raised, itchy or uncomfortable - and commonly form in people with dark skin. 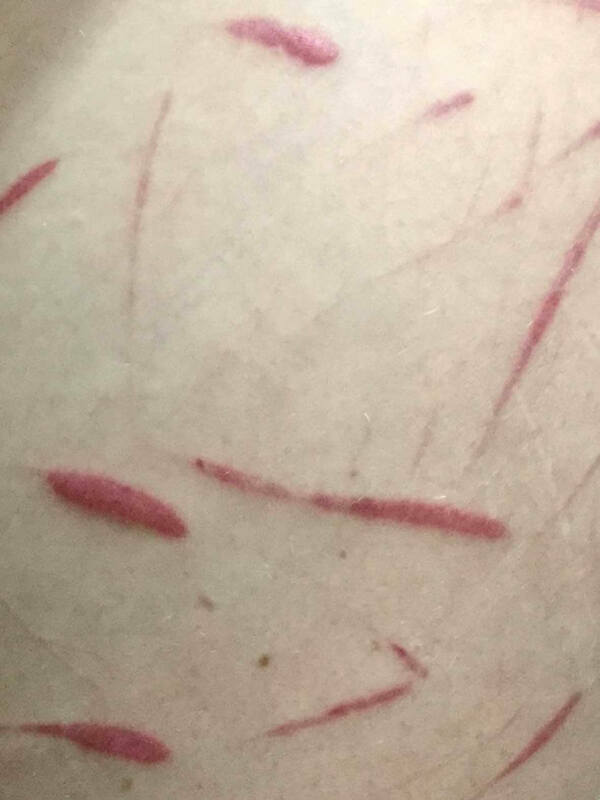 Why are some of my scars raised? Scar tissue is made of fibrous connective tissue. Connective tissue supports and connects body structures and holds them in place. Fibrous connective tissue contains fibres made of a protein called collagen. It also contains cells called fibroblasts, which make the collagen, as well as water and carbohydrates. Scars form after a wound is completely healed, however in some cases when the body produces too much collagen, scars can be raised. Raised scars are called hypertrophic scars or keloid scars. Why is massage good for scars? When scar tissue loosens, the tissues are normally reabsorbed by the body. Once a wound is healed, to promote the tissue to ‘lie down’ properly, massage should be performed daily along the muscle fibre. This helps the adhesion fibres parallel to muscle fibres to lie down properly, making your scar become more integrated into the surrounding skin. We also find that the process of touching your scar, and proactively being engaged with it, promotes positive feelings and reduces anxiety or negative feelings about the scar itself - all part of the mind/body connection that helps promote healthy healing. Although scars are permanent, they can fade over a period of up to two years. 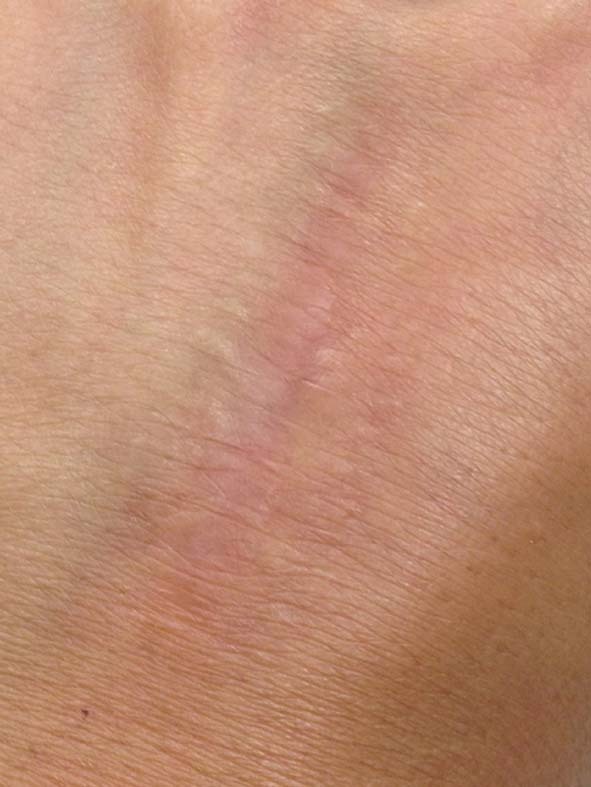 After this time, the scar is unlikely to significantly improve unless it receives appropriate scar reduction treatment. How soon can I start scar optimisation? adhere to your post operative instructions, and if you are unsure - ask us! After your stitches and dressings have been removed, you may be advised to continue using your topical antibiotic cream, or you may choose to start using a healing gel compound, which Dr Sharp may prescribe for you. After your wound has healed, you will be encouraged to massage it daily with clean hands - using silicone gel or your prescriptive healing complex. The longer you continue to do this daily massage, the better your scar results will be. If you wish to be very proactive about your scar optimisation, you can commence scar treatments such as dermal micro needling 6 weeks after your surgery. Ongoing sun protection is also very important. What are the most common causes of scars that people seek treatment for? Skin cancer removal for facial and chest lesions is one of the most common reasons that people seek scar reduction therapy. Queenslanders have the highest rates of skin cancer in the world, and we therefore experience exceptional levels of lesion removal surgery on exposed areas of our bodies. Thankfully, facial and chest scars respond well to scar reduction therapies. Major cosmetic procedures such as abdominoplasty, thigh reduction, brachioplasty, breast reduction and breast lift (mastopexy) can leave very visible scars that patients wish to actively reduce. Trauma and accidents - through dog bites to the face, workplace accidents or childhood injuries can cause prominent scars that can make people feel self conscious, or limited in their movement. 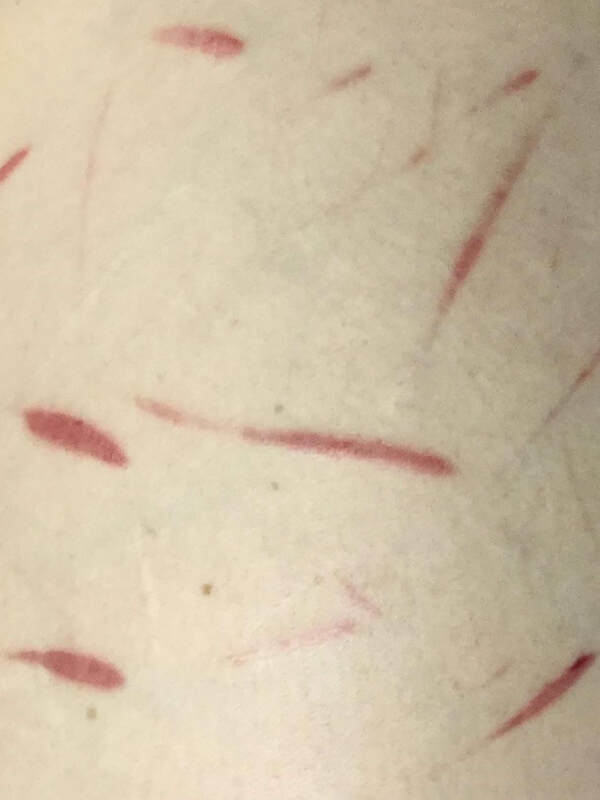 Self harm scars can be an unwanted reminder of previous trauma and as people move into a new chapter in their lives, they often wish to reduce the visibility of these scars. Is it possible to have scar-less surgery on your skin? Any surgical procedure that requires the penetration of the dermis will have a resultant scar of some type - even endoscopic or laproscopic surgery leaves small marks. It is possible to sometimes conceal scars in the hairline (such as some portion of facelift incisions), underwear or bra lines - such as cesareans or breast augmentations. Certainly wherever possible, your surgeon will always opt to incise the skin with the best possible scar position in mind. How can steroid injections help scars? Steriod injections are a treatment option for raised scars such as hypertrophic or keloid scars. They can be used as a series of treatments on their own, or combined with other treatment options for optimal results. 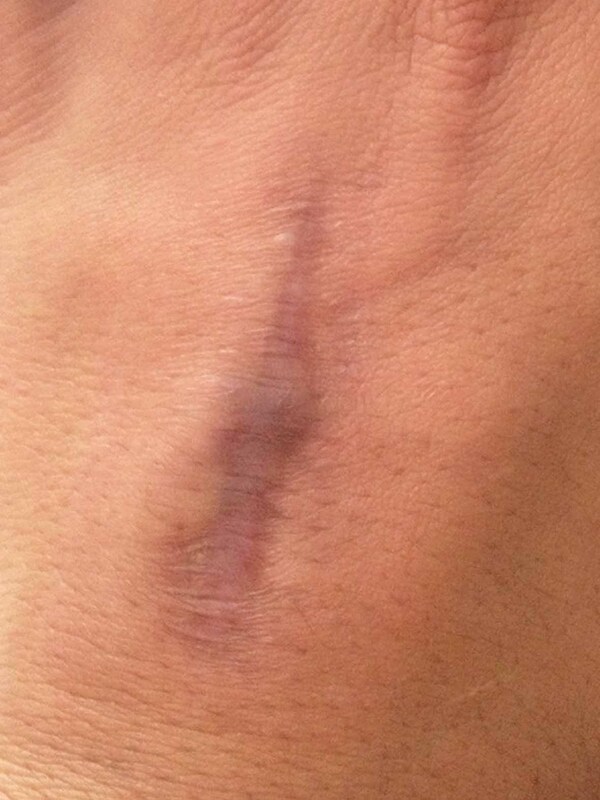 Is it better to opt for a surgical scar revision? The main benefit of surgical reduction of scars is to make the scar less prominent. Your old scar will still be replaced with a new scar, which may also become hypertrophic or keloid as the previous one did over time. These and other risks will be discussed with you during your consultation and you will need to weigh up the possibility of recurrent scar prominence, against the probablilty of a less obvious scar.